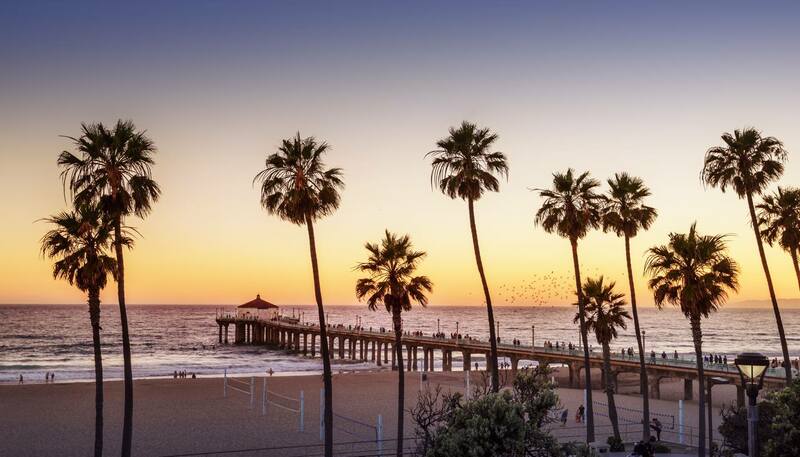 California has always been a social melting pot, and this is reflected in its modern, cosmopolitan cuisine with an endless variety of ethnic influences. Northern California spawned America’s local food movement, with an emphasis on fresh and seasonal fruits and vegetables, grass fed beef and humanely raised animals - virtually changing the way America eats. Food trucks, or mobile restaurants, have become a California phenomena - you can find them parked outside of office buildings, universities, public parks, and sporting events - usually with long lines. Some customers even follow their favourite food truck on Twitter so they’ll always know where to find their favourite foods. • Steak. California is an historic haven for cattle and cattle ranchers, today the tradition lives on with filet mignon and porterhouse cuts at steakhouses across the state. • Seafood. Californians consume far more seafood per capita than the rest of the country, and fishermen bring 300 different species to market each year. Dungeness crab, shrimp, and swordfish are especially popular. • Clam chowder. 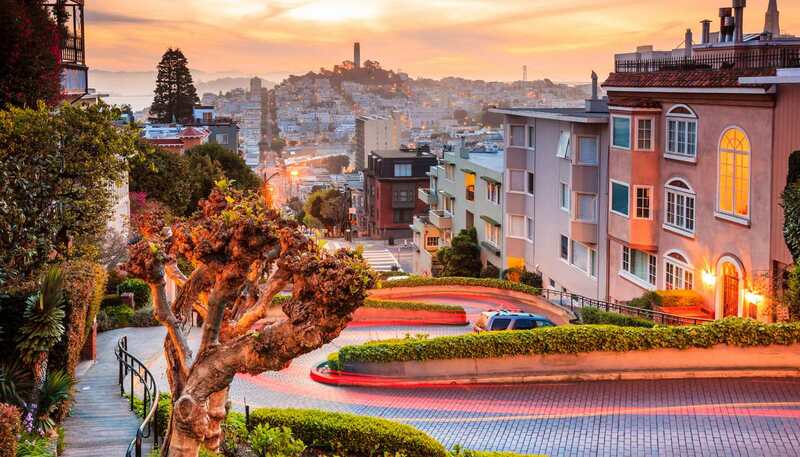 San Francisco is known for serving thick clam chowder in a bread bowl. • California wines. Northern California is famous for wines and vineyards dating back to 1855, especially white wine. • Ghirardelli chocolate. Another speciality from San Francisco, Ghirardelli has been making speciality chocolate since 1852 using a unique manufacturing process. • Sourdough bread. This was the bread made in Northern California during the California Gold Rush. Today, Sourdough Sam is the mascot of the San Francisco 49ers football team. • Tofu. California is a health conscious culture with a variety of vegetarian and vegan options, including bean curd called tofu. • Sparkling wine. White California sparkling wines are made in the Methode Champenoise style in Northern California where the temperatures can be cooler. • Tacos. California shares a border with Mexico and offers some of the most authentic and spicy Mexican food in the United States, especially in San Diego where fish tacos can be as cheap as one dollar each. • Fruit. California’s climate is ideal for growing fruit year around, especially citrus like lemons and oranges. Avocados, grapes, apples, and strawberries also grow especially well. All fresh fruit should be washed or peeled before consuming to prevent the consumption of pesticides. 15% of the bill is customary, 20% for excellent service. Bartenders should be tipped at least one dollar per drink, regardless of the beverage price. Drinking laws in California are very strict and widely followed. Individuals must have government ID showing they are over 21 years old to purchase, order or drink alcohol. Though many people think wine is the best option in California, there are also a variety of micro-breweries serving excellent pale-ales and lagers, like Anchor Steam Brewing Company (www.anchorbrewing.com) in San Francisco or Sierra Nevada Brewing Company (www.sierranevada.com) in Chico. Touring the breweries is a fun option and a good way to taste a variety of beer at a discounted price.